Suitable for all garden gates Automatically locks on closing for added security Minimal insta.. 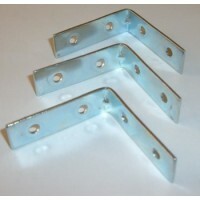 These decking screws have a flat head, the green decking screws can be used in decking, fencing, gat.. 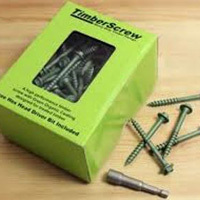 These decking screws have a flat head, these green decking screws can be used in decking, fencing, g.. The galvanised round wire nails are suitable for a variety of fencing or decking projects. The 500g ..
A structural fixing solution for joining wooden joints, beams or sleepers. Also used on timber and d..
A quick and safe method of joist trimming for light, medium and heavy duty applications such as supp..
Made of long life zinc or epoxy painted metal plate. A strong, permanent joint that can out perform ..
Used to fix fence panels or trellis to your posts. 45mm x 45mm ..
Post Supports allow you to site posts where digging may prove difficult, or where you don't wish to ..
6" Padlock Bolt Minimal installation required Sturdy and Hardwaring Suitable for external a.. Twist Ring Gate Latch Suitable for all garden gates Ring handle and latch bar ar..
Sheradised coated nail with grooved shank, used for fencing and decking. The 500g bags are availa..
Cheap and quick installation. Low stress fix in timber, brick, concrete and stone. Available i.. Supplied as a pair Available in 6", 8", 10" and 12" Heavy duty Sturdy and Hardwaring Mini..